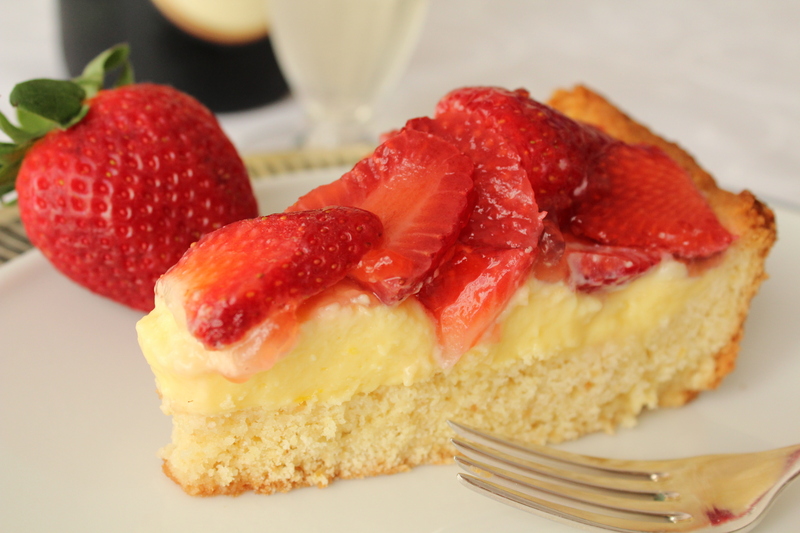 This delicious and fresh strawberry tart is prepared with an almond-flavored dough (pasta frolla), filled with custard and then decorated with fresh strawberries for a tasty and colorful touch. 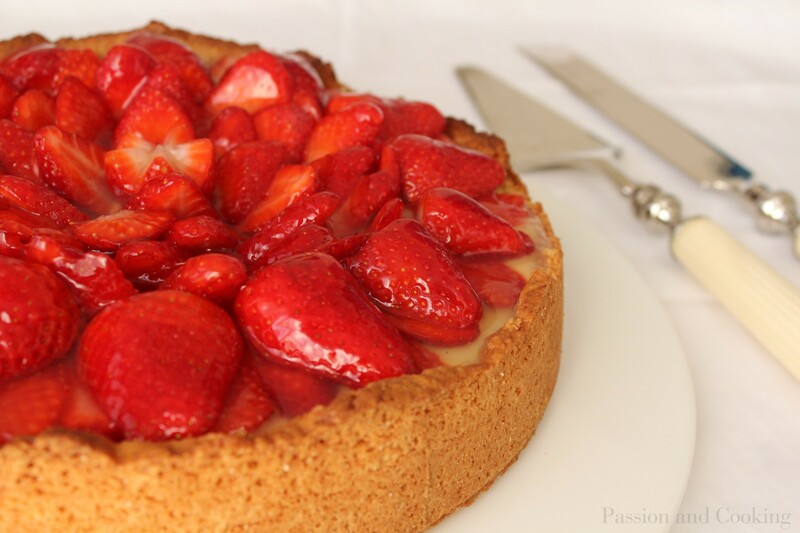 It is a mouth-watering dessert to serve on a special occasion such as the Mother’s Day! But this is a classic for any other occasion too, such as a birthday party or a dinner with friends. The preparation of this tart is not difficult, but it requires a bit of patience and some creativity in decorating. The look and the taste are worth it! May 12th will be Mother’s Day in most countries, and we like to celebrate this special day by preparing something special. Mother’s Day actually has pagan origins and dates back to ancient times. Even the Greeks and the Romans dedicated one day each year to their parent. In Italy the first celebration was in Assisi in 1957, and since then it has been in our calendar on the second Sunday of May. This day is a very special day, all mothers should be surrounded by love, attention and gratitude, and of course delicious food! What a beautiful tart. I love to use nuts in crusts, especially with fruit tarts and pies. The nuts add an additional depth of flavor that somehow rounds out the flavor profile. I note with interest your use of potato starch in the custard. That represents a difference between European and American cuisine. American cooks use potato starch less often, rather we reach for the cornstarch, although some traditional cooking (from European countres) calls for potato starch. The overall “mainstream” starch here is cornstarch. I prefer custards made with potato starch. They have a smoother mouthfeel and overall a more delicate flavor. I can often discern the taste of cornstarch, and do not particularly care for it. Thanks for a terrific idea for Mother’s Day. Now I just have to find someone to make it for me! Adri you are really knowledgeable! I have not thought about it, but you are right the flavor is quite different! Adri, this sounds divine! I can’t wait to try it especially with the strawberries being so awesome right now. I am in LA, my mom is very sick — any chance we could get together?